Your ultimate black staple, tailored to fit and flatter with a silken feel and super flex technology. Designed with an over-the-belly band to keep you tucked and held in with the utmost comfort. 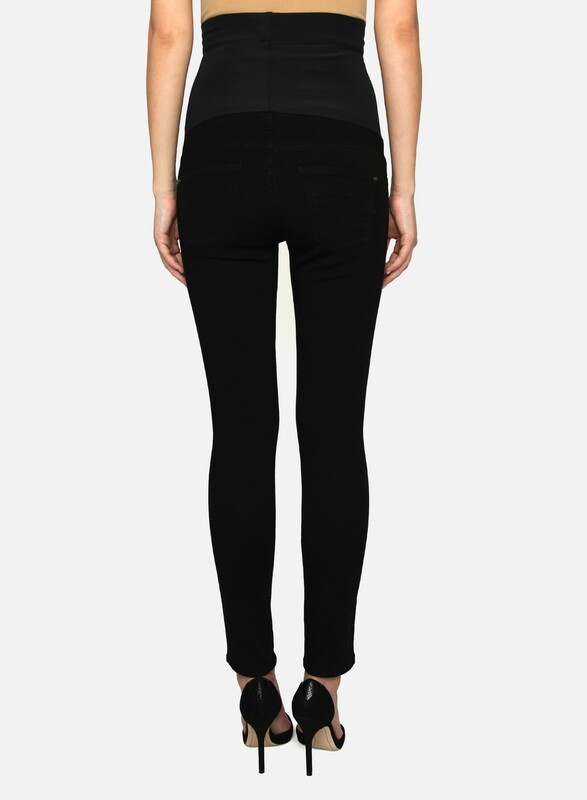 External Maternity 5-Pocket Legging Your ultimate black staple, tailored to fit and flatter with a silken feel and super flex technology. Designed with an over-the-belly band to keep you tucked and held in with the utmost comfort.